The San Antonio Wheelmen Rider Education Series (RES) program started in 2006. The adult introduction course, which was originally called the Beginning Rider course, was changed to the Introduction to Road Riding courses in late 2009. 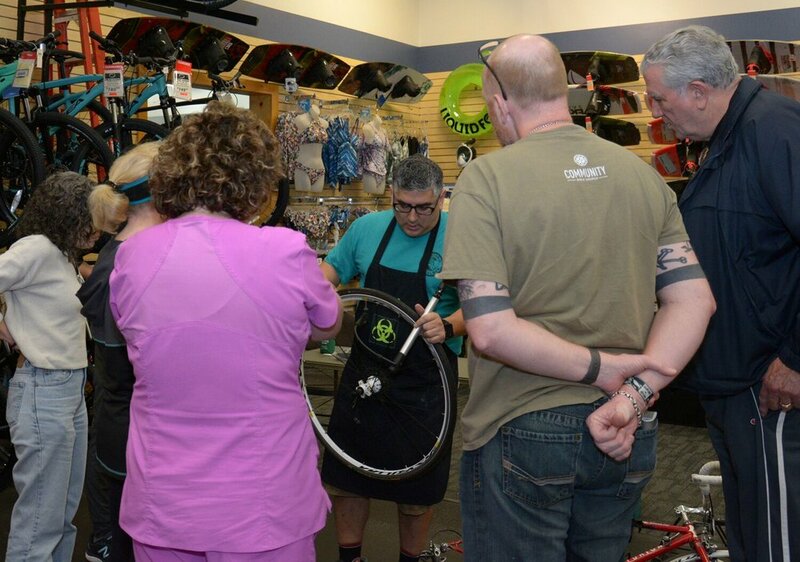 Road Riding 101, which is Introduction to Road Riding Class prepares students to do the shorter routes (up to 35 miles) at the weekly Wheelmen rides and provides instruction on basic riding skills plus riding safely on public roads. This course will help new or returning adult riders learn to ride safely on public roads while having fun. The class teaches basic riding skills, bike maintenance skills, and helps students become comfortable riding in a group on public roads. The class also introduces students to some very enjoyable Wheelmen routes. Prerequisites: None, new or returning adult rider. Learn how to shift and use the brakes and how to fix a flat. Ride 15 flat miles at a moderate pace for your first ride. Ride 24 miles, mostly flat with a few hills, for your second ride. Ride 30 miles, mostly flat with some hills, for your third ride. Ride 33 miles, mostly flat with some hills, for your fourth ride.